Interests:My wonderful family....horses, helping people, teaching, learning, writing, gardening, traveling and meeting new people and horses. a partnership with humans can be? Do you have a young horse? A foal perhaps or weanling? Or a youngster up to two or three years old that is yet to have it's first ride? Do you want the very best start possible for your precious horse? Do you want it's life to amount to everything that it can and should? Do you think you should do what ever is needed to ensure your baby has the best chance to reach it's full potential and have a great life with you? Would you like to be the one who does all this? The one to show your horse how great a partnership with a human can be. Well you can. 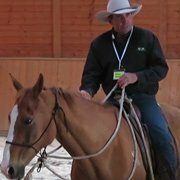 The Young Horse Handling Course with Shane Ransley will ensure all of this and give the two of you an incredible start in your new partnership. 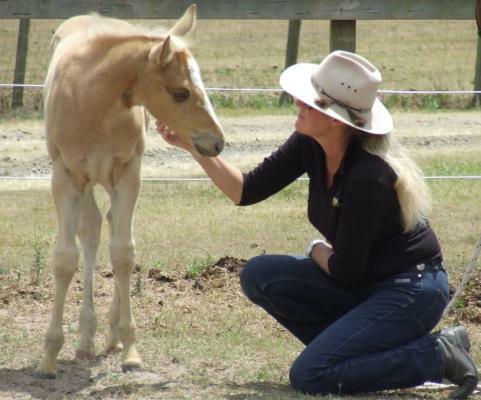 When it comes to babies, to young horses, you only get those first time experiences once. You get it right, it's with them forever. Get it wrong and there is no do-over. This is it. Your once chance to give your youngster all that he or she deserves. This enlightening course covers everything from handling foals, to halter training and pre-starting under saddle. This course is ideal for owners of young horses wanting to give their youngsters the best possible start to their education. And also for people looking to pursue a career working with foals, weanlings and colts up to 3 year old. Costs - $400 per horse for 1 to 2 horses or $900 for 3 or 4 horses (4 horses maximum). People wanting to achieve accreditation as professional Young Horse Trainers need to bring a minimum of 3 horses (4 horses maximum). All participants must also bring their saddle horse. Special Bonus - all participants in the Young Horse Handling Course will receive the Young Horse Module FREE!. Valued at $550, the Young Horse Module consists of all the course material from the Young Horse Course and will be given to you immediately when you book your spot. So, when you book your spot, we will immediately send you access to this outstanding on-line Module so you can start studying straight away and preparing for your course. This course is free to Quantum Savvy Colt Starters. Tickets available now from Quantum Savvy. Simply click on the link below and enter your payment details. 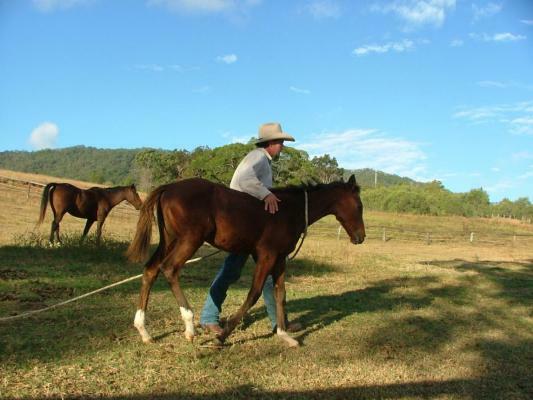 We will give you immediate access to the bonus Young Horse Handling Course valued at $550. Just wondering , how young / how old should the horses be? for the young horse handling course? Anything from birth to first rides Trace. You could even bring a pregnant mare along to prep her for handling during birth and after foaling. You could really also bring any unstarted horse. If you've got one that is a more mature age and isn't started but is going to be, then this course really is a must. On that note, anyone bringing horses along for the Colt Start Course really should do this course first, as it'll make the first rides so much easier for horse and human. A lot of time can be taken up just getting the horses ready for first rides, so the Young Horse Handling course is a must. I'll have my two babies Rocky and Charlie there this year. I am sooooo excited I can hardly wait! So it's $900 altogether for 3/4 horses, or $900 per horse if you choose to bring 3/4? Do you need to bring the same horse to the Colt Start (would be 2016 for Tye)? Interests:Horses of course, reading, camping. $900 is for 3-4 horses Elise. Or $400 ea for one or 2 horses. It is ideal to take your colt start horses through the young horse course first, will make a big difference you will find. Yes as Ruth said, y really want to put your 'colts' through the YHC before you start them if then are that age. You can do the YHC with your babies one year and then do it again the year they a re to be started also, but certainly do both courses back to back. When it comes to starting time. Thanks guys, I am interested in doing this to, but have some other professional goals (ELI, agent and Cert 1) first so itll be tye doing it before me. He was thinking of doing it this year, but the horses we had in mind would probably want to be started before 2016. So we could find some horses for YHC this year and then they can grow next year and do the colt start. Or are you saying it would be best to wait until next year when they (whichever horses they may be) can do YHC and colt start at same time? Is there a link which i could give to people to read about what will happen during this course and the benefits for their horse.? The course covers what we do with all young horses from the time they're born until first rides Elise so the sooner they do the course the better. If you wait until they're ready to start they'll be behind schedule re the QS young horse time line. The info here or on Facebook should tell the owners about the course. Might be a bit more Facebook in the events list. Ok cool thanks Meredith, yes I was think the same thing. Tye and I discussed asking just for yearlings or two year olds so then next year the same horses are ready to do YHC and colt start. So they do 2015 YHC and 2016 YHC and colt start. We might just put it out to all people, we do know some friends with young horses and while I'd love to help all young horses, they all should be doing this, I can only offer the opportunity and information on it. Hopefully people see it as a great chance to have some effective layers on their youngsters. After looking after rocky and hope especially, I really can't see any other option for young horses in my opinion. Not many young horses I've met are as left brained and responsive and respectful as they are. Sounds like a great plan Elise. It's so important to get them off to a good start isn't it. Rocky and Hope are fabulous examples as you said. I know I a lot of 'big' horses that aren't nearly as quiet, we'll handled and educated as the two are. They just make life so much easier don't they and they are so much better for it. It has been lovely for us to have you looking after them and if you two could offer your help to more youngsters in your area that'd be awesome. Hope we get to see Tye there this year. He'll love it. hi all am looking for three horses to take to this course this year, if you have any or know of anyone. Ideally yearlings or two year old coz id like to take the same ones through YHC and colt start next year. I'll be joining the Young Horse Course and Colt Start this year too! I am also looking for 3 young horses to take through the YHC and the Colt Start. 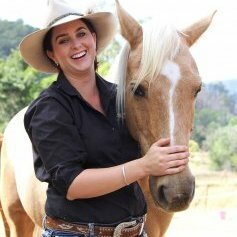 I am a QS Cert 1 horse trainer and have passed the Cert 2 course as well. I am planning to be a L3 graduate by the time the courses are held in November. PM me if you would like to know more about me and to have a chat! Looking forward to hearing from you and to meet your lovely young horses! Can all Young Horse Handlers and Colt Starters doing this year's courses, please PM me with details of the horses you are bringing and if you need more horses. I do have enquiries coming in but am not sure where we're all at. Thanks folks.